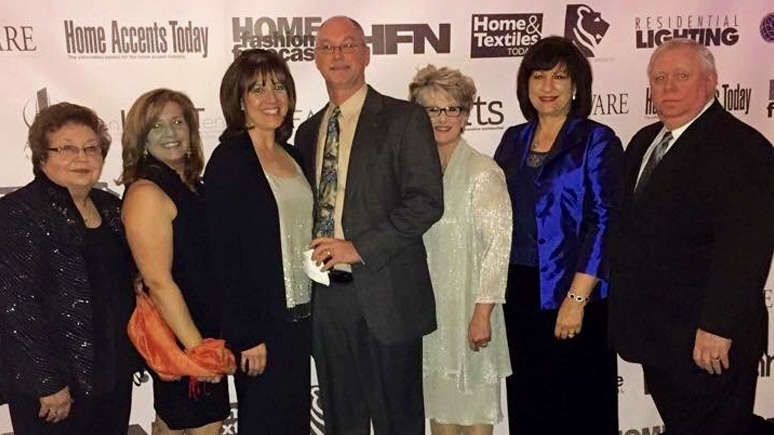 Bruce is one of only three Certified Lighting Consultants (CLC) in the state of Texas. The CLC designation is earned through the American Lighting Association, and is the highest professional designation that is offered. 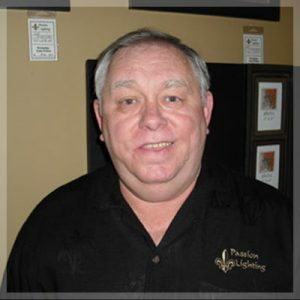 Bruce is the owner of Passion Lighting and does a wide variety of lighting design, including residential, estate, commercial, retail, landscape, and holiday. Bruce has been in the lighting industry for the last 15 years, opening his own showroom in 2006. 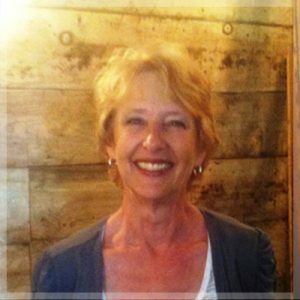 Debbie has been involved in lighting for 25 years, and has been with Passion Lighting since its inception. 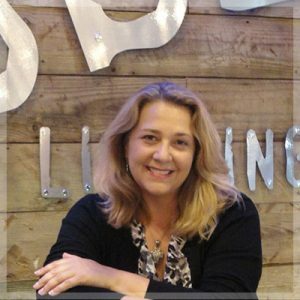 She assists a wide variety of clients with all their lighting needs, including premier builders, designers, architects, and homeowners. 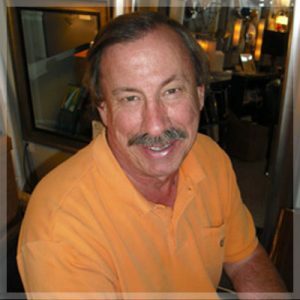 Bill has been working with builders and remodelers for more than 30 years. 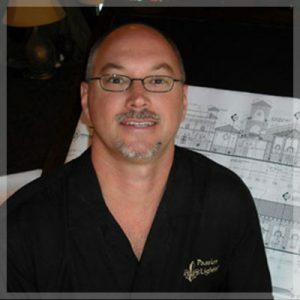 He also completes landscape lighting designs and works with a variety of other customer segments. Geri has been in lighting since the candle was invented. She is exceptional when it comes to working with homeowners on product selection, has great follow-through, and knows lighting exceptionally well. Fred is a service tech on the Passion Lighting team. He performs a wide variety of services and provides delivery for residential and builder clients. Fred has installed and/or balanced thousands of fans and lighting fixtures over the years. 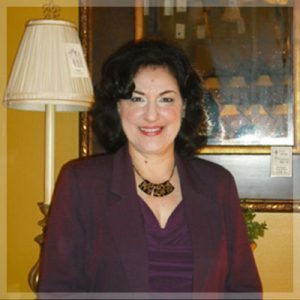 Nina has been helping a wide variety of clients for more than 20 years. 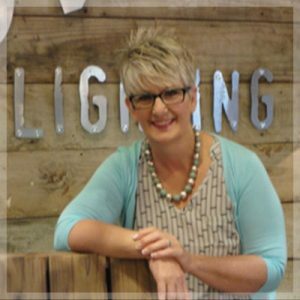 With a vast level of product knowledge, expertise, and attention to detail, Nina can help you with all your lighting needs. She can work with homeowners, designers, builders, electricians, and you! Dan handles all product returns and product performance issues, and oversees our service technicians and support services. 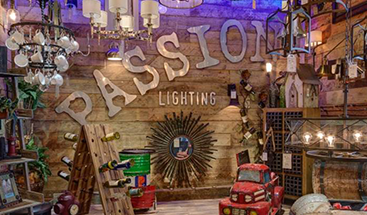 He also is responsible for all purchasing aspects for Passion Lighting. 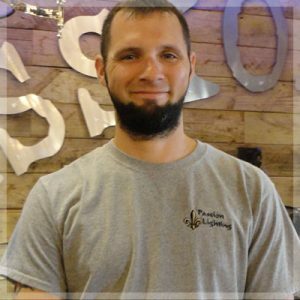 Justin has been with Passion Lighting since 2007, and has a broad array of knowledge from lighting basics to in-depth landscape lighting experience, including product and installation. With a smile on his face, he is always looking to help with whatever you may need. 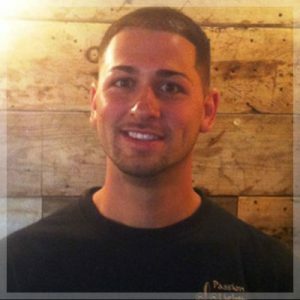 Daniel joined Passion Lighting as part of the original team and has been pleasing customers ever since. 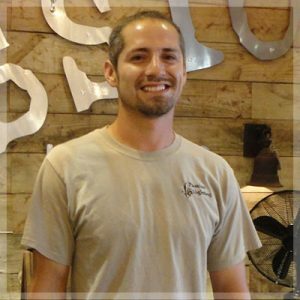 With a great attitude and real focus on customer satisfaction, Daniel is active in many aspects of Passion Lighting. 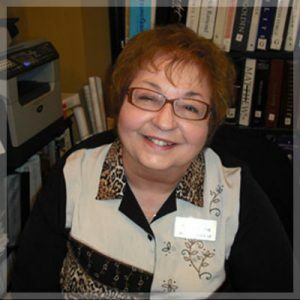 Karen supports all of Passion Lighting’s back office activities, including accounting, customer support, and transaction support. Kristal joined Passion Lighting and became a certified ALA Lighting Specialist in 2014. Kristal enjoys supporting homeowners and builders during the product selection phase. 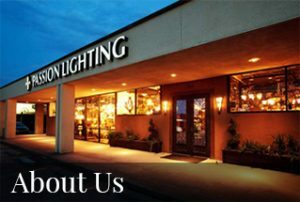 If you have lighting questions or need help choosing fixtures, our experienced team can help. Visit us in Grapevine today!